Further expansion of the Fire-cover.net fleet! We have added a second 10,000L water tanker to our fleet to enable us to meet the demand for our services. The appliance is now fully operational after undergoing a full overhaul and refit to our own specification. It is equipped with 2x Godiva petrol driven pumps, rear working platform and wetdown bars, all capable of being used while the vehicle is on the move. As with our other tanker, this one also meets the LEZ standard, meaning that there is no additional LEZ fee to pay for our tankers working inside the London Low Emissions Zone (LEZ). 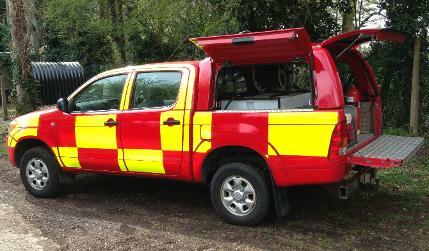 Fire cover.net have added 4X4 capability to its fleet. 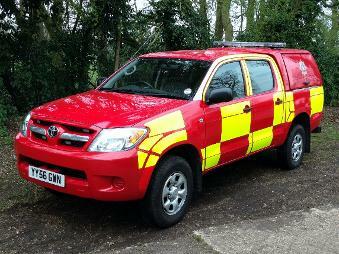 We have added 4X4 capability to our fleet with the addition of Toyota Hilux appliances. the vehicles are now operating from our bases in London, Leeds and Liverpool. The appliances give us a go almost anywhere capability and are ideally suited to covering small SFX sequences, stunts and events. They are fitted with Firexpress. We can also quickly remove the Firexpress system from our Hilux appliances and use them for different roles. We can fit them with specialist equipment, changing there role to such things as Line rescue, Vehicle extrication, support vehicle or Fire investigation! 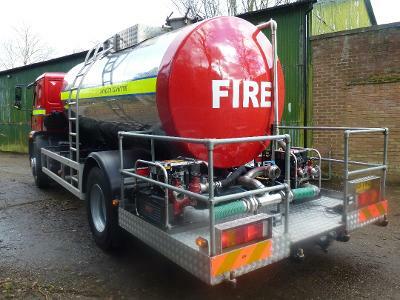 Fire Cover.net now have the ability to provide our 10,000L tanker full with hot water. We have custom built two 70Kw deisel powered water heaters to enable us to heat the water before leaving base or while on location. Water can be heated up to 60 degrees C.
Fire Cover.net have begun upgrading our Thermal Imaging cameras to Argus4. The Argus4 is the highly successful thermal imaging range from e2v, designed specifically to help fire fighters to see in conditions of zero visibility including complete darkness and smoke. 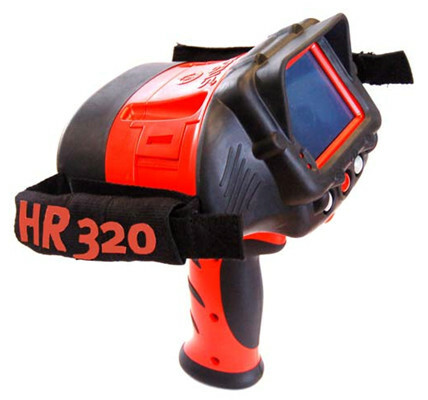 It allows them to identify and rescue casualties, locate hot spots and the seat or spread of the fire. It is lightweight, ergonomic and capable of withstanding harsh environments and requires no end-user maintenance other than recharging of batteries and post-use external cleaning with a soft cloth. fire-cover.net are pleased to announce that our 10,000 Litre water bowser is now operational. We have again listened to our customers’ and delivered the services that they require. The bowser is equipped with twin Godiva pumps, and can wet down or provide rain on the move. fire-cover.net are now able to carry out PAT testing on site. Following requests from several productions, we have added the ability to test electrical equipment up to 16Amp on location or in the studio. 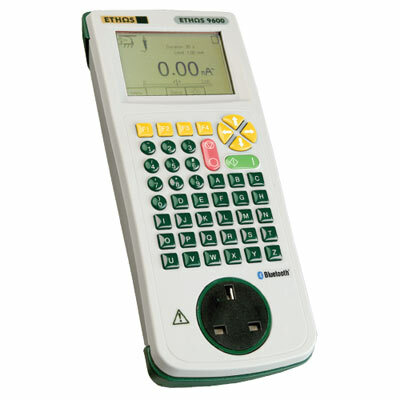 We all accept pat testing is the best way of ascertaining if an electrical item is safe to use. Some electrical departments in the Film and TV industry require all items on set to have a valid PAT test before they will supply power to them. We believe this to be a very good practice, even though PAT testing is not required by law! We want to help perpetuate the Film and TV industry in as many ways as possible; we do not want shoot time lost because electrical items have not been PAT tested or the test has lapsed. We will test items on the spot, so shooting can continue. A tester can be provided as part of any standby fire cover being provided, so please ask for a standby PAT tester as part of your next fire cover package! 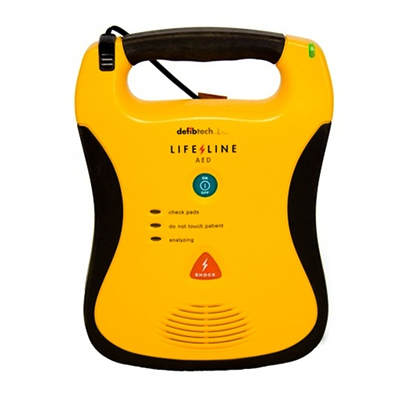 fire-cover.net goes live with a life saving defibrillator. Few people know that sudden cardiac arrest(SCA) kills more people in the UK then lung cancer, Breast Cancer and Aids combined with over 250 deaths every day. SCA knows no boundaries and can affect anyone of any age at any time even young athletes. The only way SCA can be treated is with emergency medical intervention and immediate defibrillation of the heart combined with CPR. The survival rate can be as high as 90% if treatment is initiated within the first 3 minutes following the SCA. 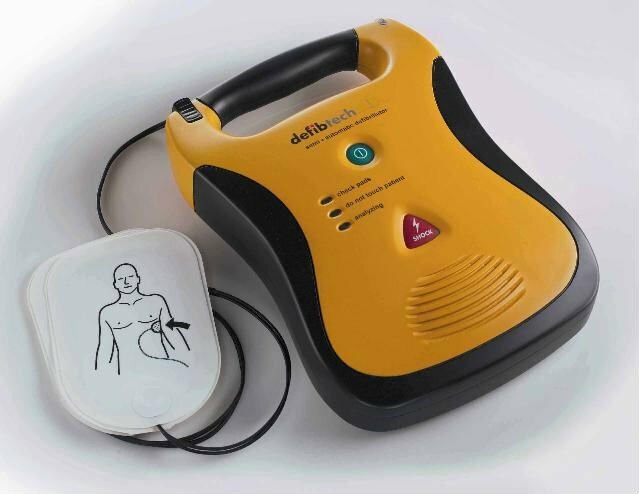 The survival rate goes down by about 10% for every minute that passes without defibrillation and CPR. Only about 5% of those who do not receive emergency treatment within the first 10 minutes survive.